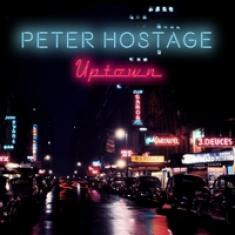 Peter Hostage's Uptown is a lively and bold jazz-blues fusion record. The first song on the album, "It Ain't What It Ain't," instantly imbues the listener with Hostage's signature groove. The unfazed and nonchalant refrain of "I am what I am/I ain't what I ain't" in this track has a pleasing, catchy, and lighthearted vibe that is really memorable. 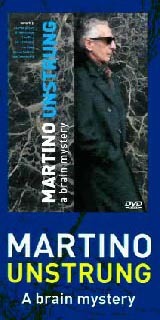 It is overflowing with flirtatious humor and a blend of vitality that is infectiously cheerful and entertaining. "Just We Two" is a tender and sentimental tune that has a nostalgic and romantic quality that is present in artists such as Randy Newman and Ray Charles. The lyrical composition is touching and recalls a classic old-world charm. This song has a cinematic feel that would be home in an evocative scene of a slow dance in an empty, dark nightclub. "Between 5th & 6th" completes the record with an upbeat and quirky instrumental energy that is an appropriate end to this collection of jazz tracks. There is something essentially New York about this final song, that transports the listener to the streets of Manhattan.